A still from one of the videos posted online. The Curia is “observing” two videos posted online quoting the Virgin Mary warning against the ills of divorce in Malta. The videos posted on Youtube claim that the message was given on September 1 at Borg in-Nadur, the location where Angelik Caruana has for years claimed the ­Virgin Mary appears to him every Wednesday. Mr Caruana’s claims have not been officially endorsed by the Church. 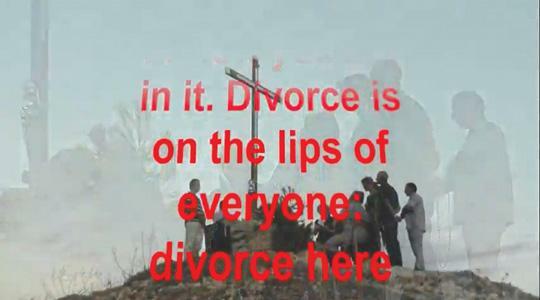 In the videos, it is claimed that the Virgin Mary urges the Maltese to “refuse” divorce and that she refers to the ongoing divorce debate as “ugly”. “I spoke to you about it four years ago, for you to prepare yourselves for it. Now you are in it. Divorce is on the lips of everyone... They also publish articles against the Church and against priests. Yet, my children, remember that marriage cannot be dissolved. It is not the Church that decided this, but my Son Jesus,” the Virgin Mary is quoted saying in one of the videos. Although the message is in English, it is allegedly transmitted to Mr Caruana in Maltese and is later translated by Fr David Cefai, a Jesuit who assists Mr Caruana’s spiritual director Fr Hayden Williams, who keeps the Curia informed about what goes on. At one point, it is claimed that the Virgin Mary directs her thoughts to working women, and later also working men, asking them whether they are taking care of their husbands, wives and families. When contacted, a spokesman for the Church said that in cases of this nature the Church observes, gathers information, performs “spiritual discernment” and consults experts – relaying everything to the Vatican. Mr Caruana has a growing group of devotees who recite the rosary each Wednesday evening while he claims to experience the apparition. Fr Williams and Fr Cefai then expand upon what Mr Caruana claims he has been told, without casting doubt on the veracity of the claims. When contacted, Fr Cefai stressed that he was not there to give credibility to Mr Caruana’s claims and it was only the Archbishop who could declare whether the apparitions were genuine. However, Fr Cefai said various experts who studied the case were not able to pinpoint Mr Caruana as a “fraud”. He added that his role at Borg in-Nadur was to assist Fr Williams in expanding upon the words that Mr Caruana claimed he received from the Virgin Mary and put them into the context of the official Church teachings. Mr Caruana originally made headlines when a statue of the Virgin that he owns allegedly started weeping tears of blood and oozing a large quantity of oil, which ­continues to this day.